The twelve-year-old sat on the nurse’s table with his shirt sleeve rolled above the elbow. He had volunteered to be first in line to receive a shot, and now his reaction was being closely watched by those who waited their turn behind him. In went the needle, then out. A Band-Aid was slapped in its place. With a bravado that only young kids possess, the boy, Daulat, made a show of demonstrating that this was no big deal at all. “Just one shot?” he teased, as he hopped from the table and flashed a big grin. Yet here at the Nahed Chapman New American Academy, where immigrant and refugee children attend classes before being transitioned into the larger St. Louis public school system, one shot translates to so much more. 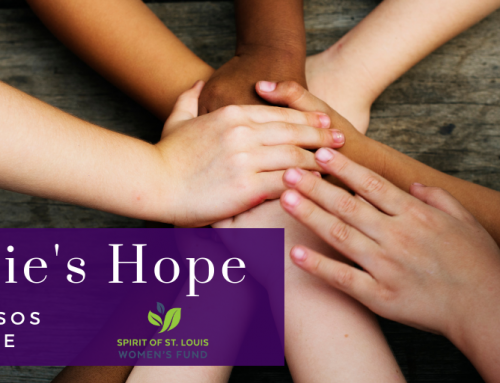 Daulat is one of dozens of kids ages 5 through 18 who are receiving free vaccines and medical care at the school, thanks to a partnership between St. Louis Public Schools and iFM Community Medicine. 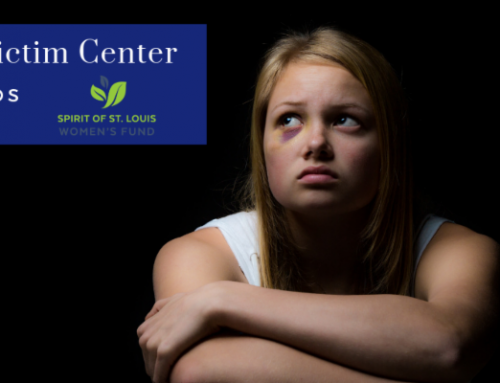 The clinic, supported this year with a $14,000 grant from the Spirit of St. Louis Women’s Fund, is part of iFM’s larger effort toward providing convenient and low-cost health services to underserved populations in the greater St. Louis area. For Daulat, whose family emigrated to the St. Louis area from Honduras two years ago, one shot in the middle of the school day means so many things. And it is one happy, healthy kid, who knows he has a team of adults he can rely upon – whether it be for his medical needs, or any other concerns as he assimilates to life in his new country. iFM was founded by Dr. David Campbell in 1999. 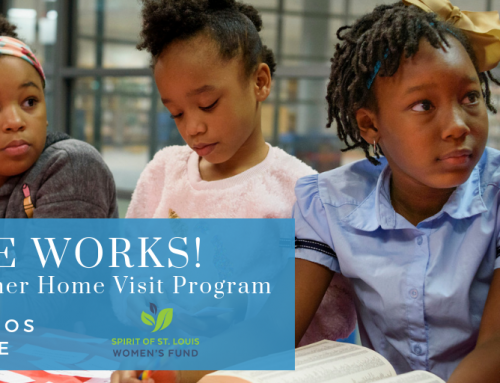 It has 20 on-site clinics at area schools, shelters and social service organizations, where it aims to reduce barriers related to cost, transportation, language and trust. At the Nahed Chapman New American Academy, those barriers loom particularly large. St. Louis has one of the fastest growing immigrant and refugee populations in the country. 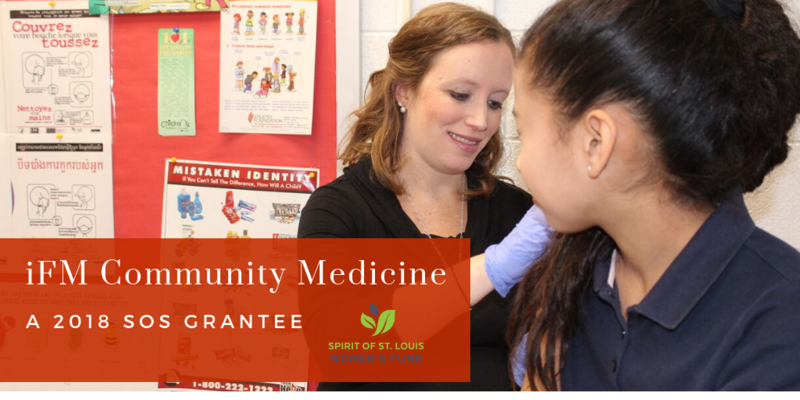 The school and its clinic sit in the geographic center of that activity, on Grand Avenue not far from Tower Grove Park, just a stone’s throw from the International Institute of St. Louis. Students hail from Afghanistan, the Congo, Honduras, Somalia, Iraq, and Syria, to name a few. Many have survived war and refugee camps, and now face the challenges of navigating life and healing with an array of economic, language, psychological, and cultural challenges. The approximately 250 students speak as many as 54 different languages from 42 different countries. Some never received vaccinations in their home countries. Others did, but don’t have the paperwork to prove it. “A lot of these kids would be considered, for lack of a better term, ‘vaccine virgins,'” explained Timmer. A 16-year-old might need as many as 18 shots broken up over five visits – warding off diseases like Polio and Hepatitis A and Meningitis. These are vaccinations that kids in America have been getting since birth, and all are required by the Missouri Department of Health and Senior Services in order to attend St. Louis Public Schools. Most of these students are on Medicaid or are uninsured. Their families lack access to transportation. Some are afraid of turning to the government for help. That’s why the free, convenient in-school care is so essential. But it doesn’t come without a lot of hard work by iFM and their educational partners, who coordinate care and sort through mountains of paperwork. Here, most of the work falls to the two women who administered Daulat’s shot: Phyllis Guest, RN BSN CMCN, who has been with St. Louis schools for 28 years, and Brook Raye, FNP-BC, the nurse practitioner provided by iFM, who has been working with Guest for the last six years. For Guest and Raye, the job is as much about providing in-school care as it is connecting families to resources in the community – acting as a liaison between the schools and primary care providers and pharmacists. In the time that these two women have been working together, the population at the school has dropped. But the students are lining up at the door for the free health care, with a nearly 150 percent increase in patient visits just over the past year. It is a testament to their work, and the quality of care they are providing. and helping them navigate what can be a tangled and confusing health care system, even to those who are native to this country and speak English fluently. Within the walls of the nurse’s office, where bright colored posters provide tips on good hygiene and proper sanitary practices, Guest and Raye have seen and heard it all. They’ve treated kids with cancer, diabetes, seizure disorders and PTSD. The students are often coming from places where obtaining proper medical care was downright impossible. And even within the relative safety of this new country, many still face grave obstacles. The nurses recount the story of Mandela, 12, from the Democratic Republic of Congo. When he arrived in America, he was suffering from a severe kidney infection. His father was worse off, on dialysis with kidney failure. Wheelchair-bound with a neurological disorder, the boy requires specialized medical procedures twice daily. Guest and Raye can provide this to him in their office, between classes. It’s a level of care that he and his family couldn’t even dream of in their native country, where the population has endured relentless waves of violence, rebellions and political turmoil since 1996. Guest and Raye work with interpreters to make sure they are not just providing shots and writing prescriptions, but educating students and their families and communicating with them. Take Saadiq, 9, from Somalia, who came to the office several months ago complaining that his eye hurt. He didn’t reveal anything more, but Guest and Raye could sense something beyond just pain was bothering him. With gentle questioning, they were able to tease out the troubling truth: the boy’s father had beat him the night before, causing an eye injury. The nurses got a social worker involved, delivering much needed intervention at a crucial time. Guest and Raye said the partnership between the school and iFM, made possible by the SOS funding, has allowed for that type of one-on-one attention. A drawing hangs on the bulletin board in the nurse’s office. Creases reveal how the paper was folded up tightly in the young artist’s pocket, until it was lovingly handed over to Guest and Raye, who were the subjects of the amateur piece of artwork. In the picture, the nurses are portrayed as friendly, mother-like figures, with kind smiles and big eyes. Another drawing hangs above it, in which the girl drew a likeness of herself. With a billowing pink dress, black belt buckle, high-heeled shoes and a heart-shaped mouth, she looks like a little princess. Ilsa, the artist, was 8 years old when her family came to St. Louis from Honduras, to escape the violent crime that continues to climb in the Central American country. 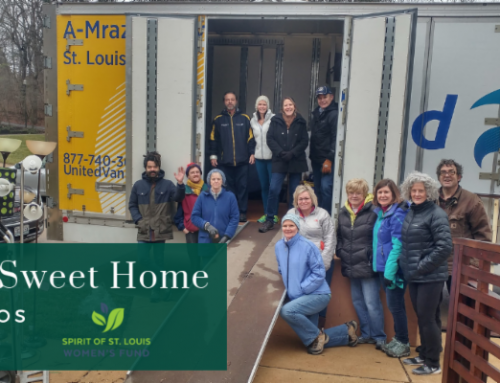 Once in St. Louis, she had difficulty adjusting to life in her new community. There was also trouble at home. The nurse’s office became her refuge, a place where she could hang out and gain comfort in the companionship that Guest and Raye provided. Over the course of that relationship, and Ilsa’s work at the school, they watched the girl’s English speaking skills grow. They saw her comfort levels with American society blossom. And on a practical level, they were able to catch her up on all of her vaccines. 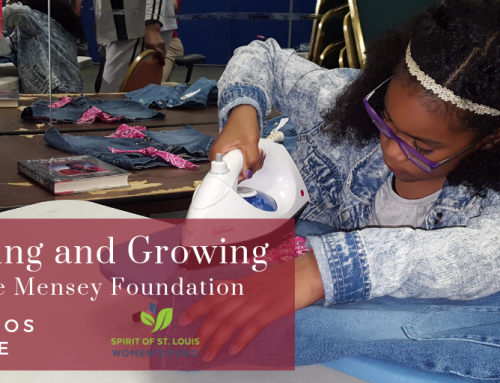 In many ways, Ilsa represents all that iFM is trying to accomplish at the school. She is proof of the power of providing medicine with a side dose of communication and comfort. *Some names and details may have been changed to protect the identity of those helped by the organization. 618 Creative . Photos taken by Bethany Prange of 618 Creative.